1) I woke up in San Francisco, still a bit worn out from the previous day. 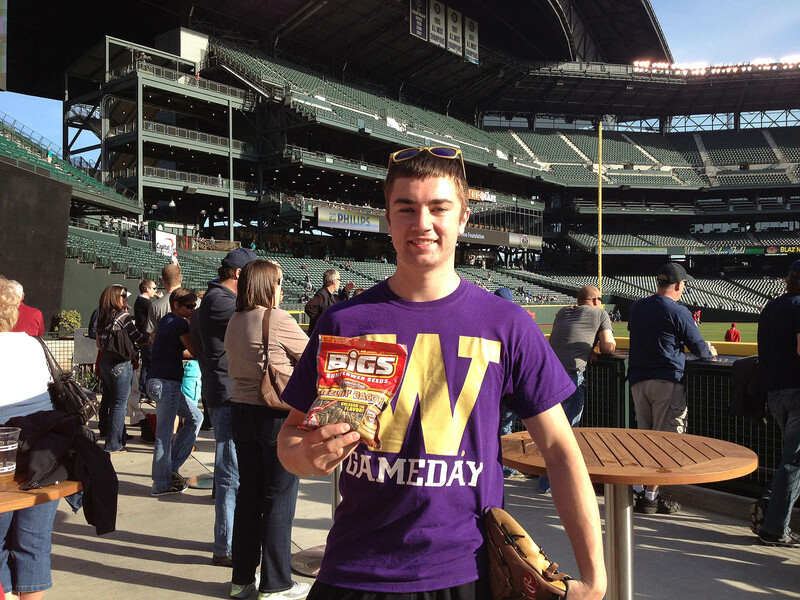 2) Neal Stewart told me that a large package of BIGS Sunflower Seeds had arrived. 3) We headed to the airport (with the seeds) for our flight to Seattle. 4) Neal realized he was gonna have to pay $25 to check the seeds. 5) We stuffed as many packs as possible into our suitcases. 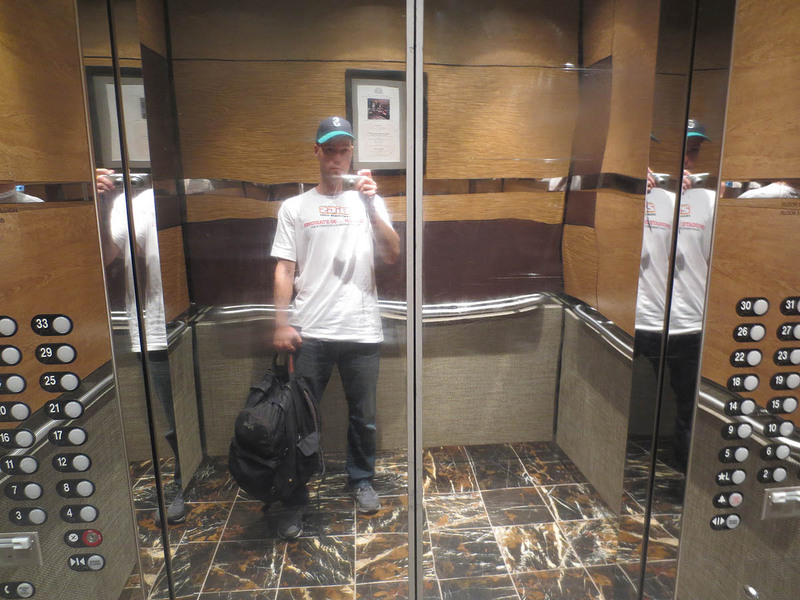 Then I had about half an hour in my room before heading downstairs . . .
. . . to meet Neal in the lobby. 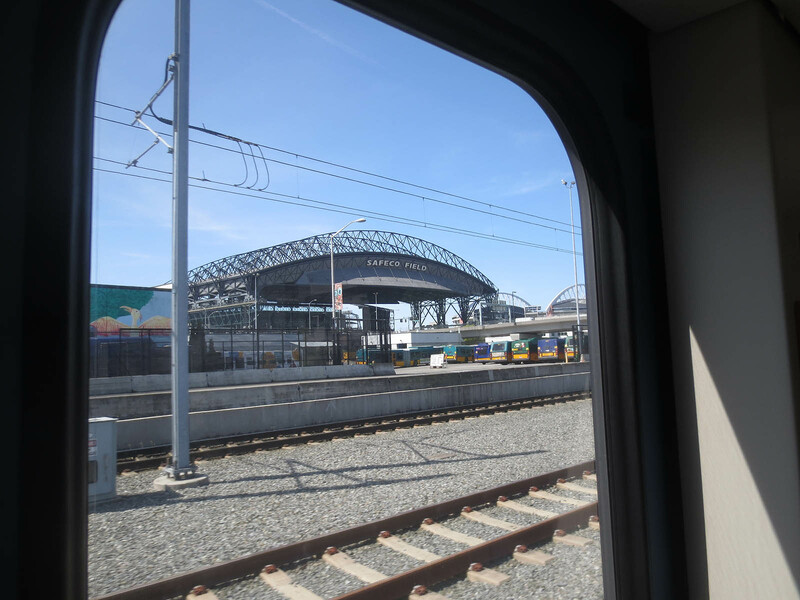 On the way to Safeco, Neal peeled off to grab a sandwich. I made it to the stadium at around 4:20pm . . .
. . . and took a peek inside . . .
Why did we pose like that? 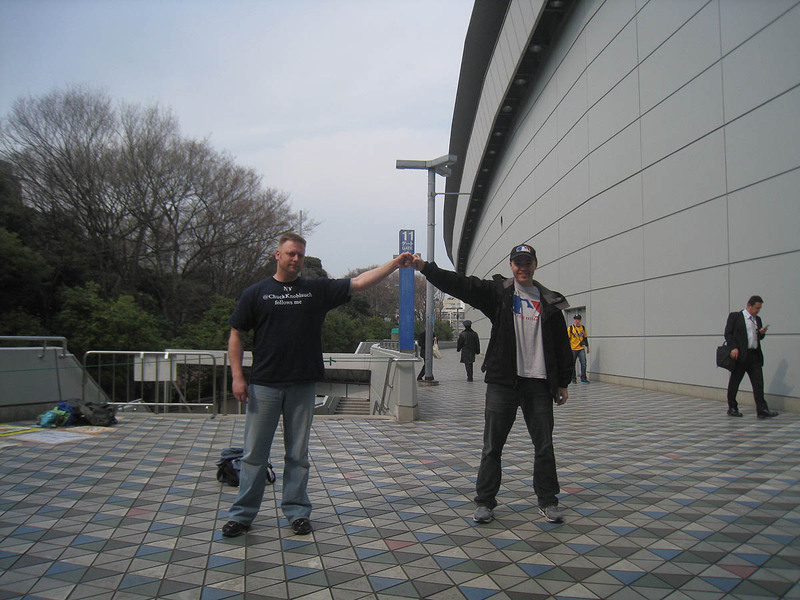 Because (a) we’re dweebs and (b) we were recreating our fist bump from 3/28/12 at the Tokyo Dome. (Check out that little girl staring at us in the background. Hilarious.) We hadn’t seen each other since then, so it was great to catch up. There was lots of room to run . . .
. . . but unfortunately there wasn’t much to run for. 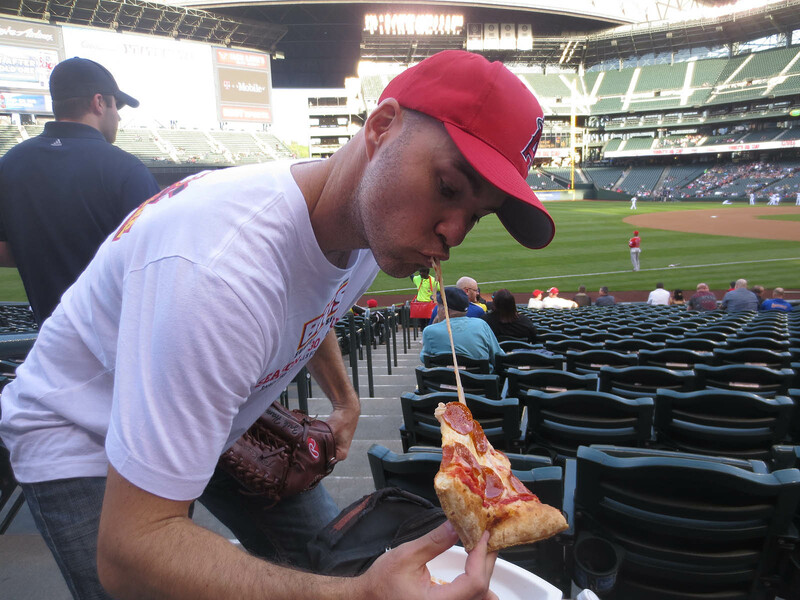 That’s Mariners baseball for ya. 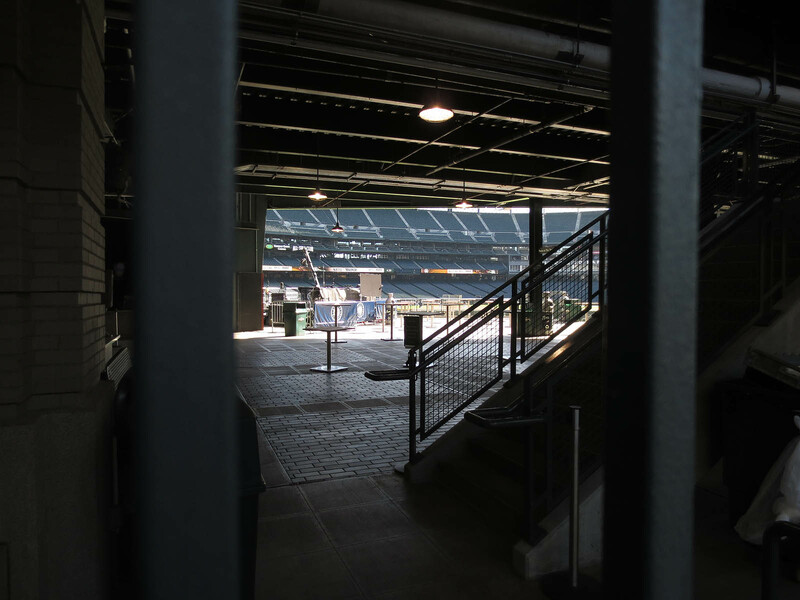 At the end of the video, I wasn’t joking when I said, “And now security is coming to bust my balls.” Two yellow-shirted supervisors did indeed wander over and inform me that I’m not allowed to do that . . . so I informed them that I’d pretty much gotten permission ahead of time. We all chatted for a minute, and that was the end of it — no harm done. In the photo above, do you see the platform that the usher is standing on? That’s where I snagged my 3rd ball of the day. He had tossed it (from down below) to some fans in the front row, but the ball had fallen short and rolled under the chairs. 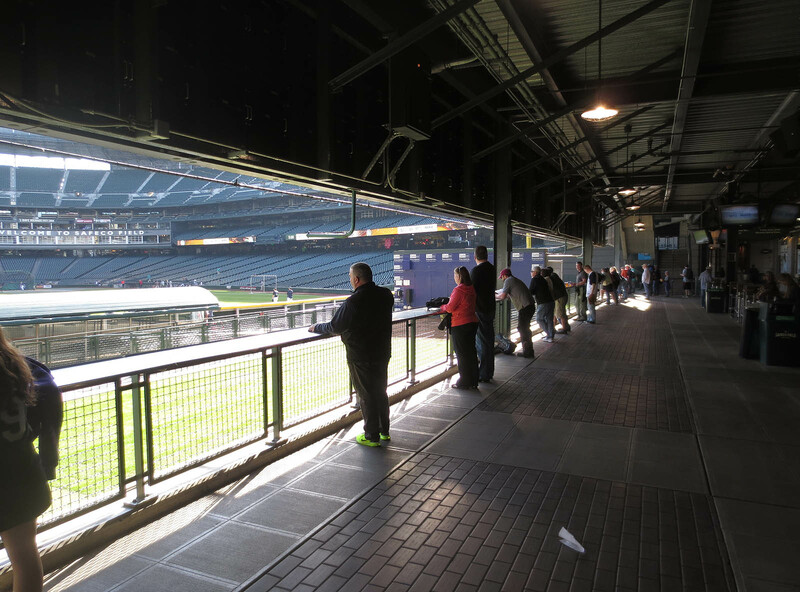 I hurried over and leaned waaay down over the railing and snared the ball in tip of my glove. 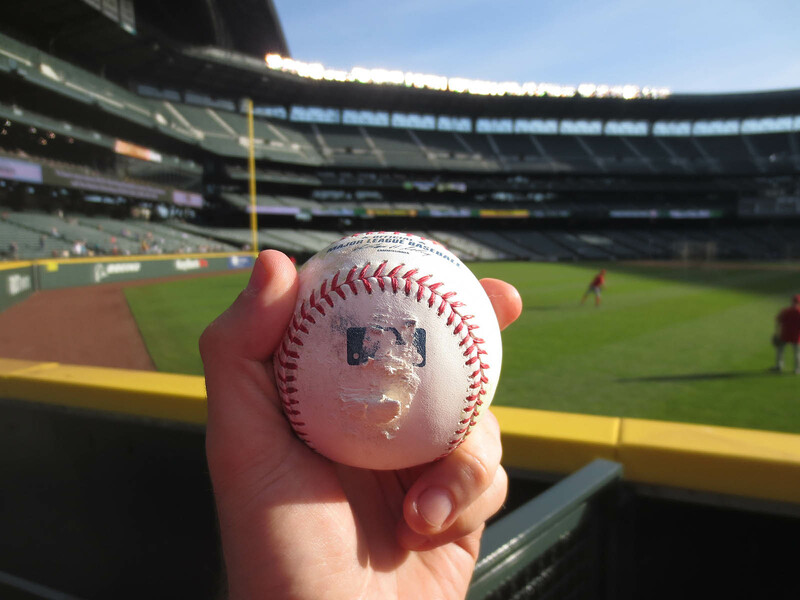 I then offered it to a girl named Hannah, whom I’d met at Safeco two years ago, but she wouldn’t accept it. “I can’t count it in my ballhawking stats,” she said, and I realized right away what she meant. Because I had acquired possession of it first, it effectively became worthless to her, and I felt really bad. I knew that she tried to get baseballs, but I didn’t realize that she was so strict with her stats. (Thumbs-up to her integrity.) If anything, I thought I was doing her a favor by grabbing the baseball; there was a smaller boy standing next to her, and I thought the usher might eventually retrieve the ball and hand it to him. I ended up giving her the ball so that she could give it to the boy, so it all ended up reasonably well. Remember the netting. It helped me snag a ball later on. 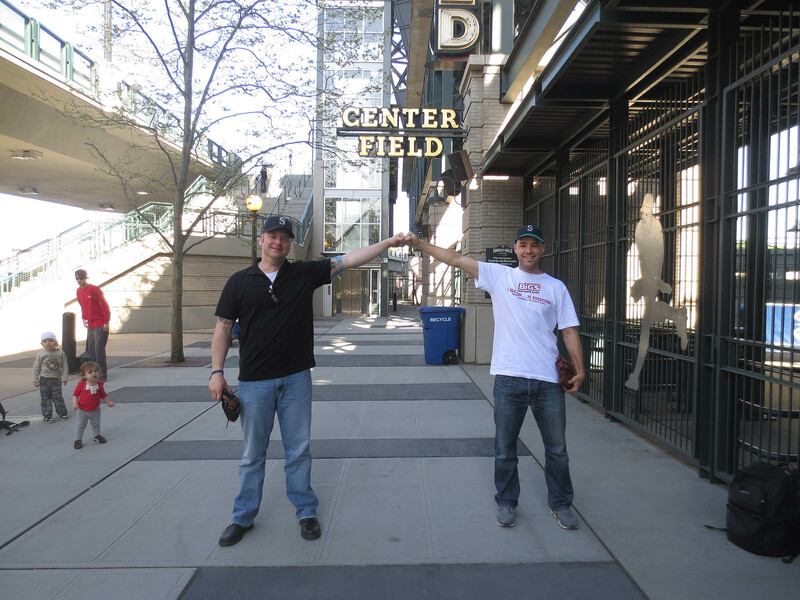 “Oh, yeah, I have,” he said, so I told him briefly that they’re sponsoring me this season and sending me to all 30 major league stadiums and helping me raise money for charity. Our conversation got cut short because he had to do a bullpen session with one of the pitchers, so he told me to come back in the 1st inning. “Or maybe after a few innings?” I asked. I figured my best chance to snag a 3rd-out ball would be early in the game, so I wanted to take care of that before schmoozing it up with him. Fun fact: Max is the older brother of Hannah (she’s the one who was standing near the platform in right-center field), and they have a brother named Luke who showed up later — pretty neat to see a trio of sibling-ballhawks. A few minutes later, I caught another homer on the fly (not sure who hit it), which was nice except for the fact that a woman got knocked down in the process. I’m *not* the one who knocked her down. In fact, I probably saved her from getting drilled because she was drinking a beer and never saw the ball. There was another guy out there who was reckless. He’d already crashed into Max, and he’s the one who slammed into her. She went down hard and appeared to be pretty shaken up. The other guy was reasonably apologetic, but he made an excuse which I thought was 100 percent unacceptable: he said he was “just watching the ball.” I scolded him and told him he can’t do that — that he needs to take his eye off the ball and look at the crowd and figure out what his path is gonna be. “Easier said than done,” he replied. I wanted to say, “Really? I just did it, you jackass,” but I let it go. The two security supervisors had just arrived, and they reprimanded him. 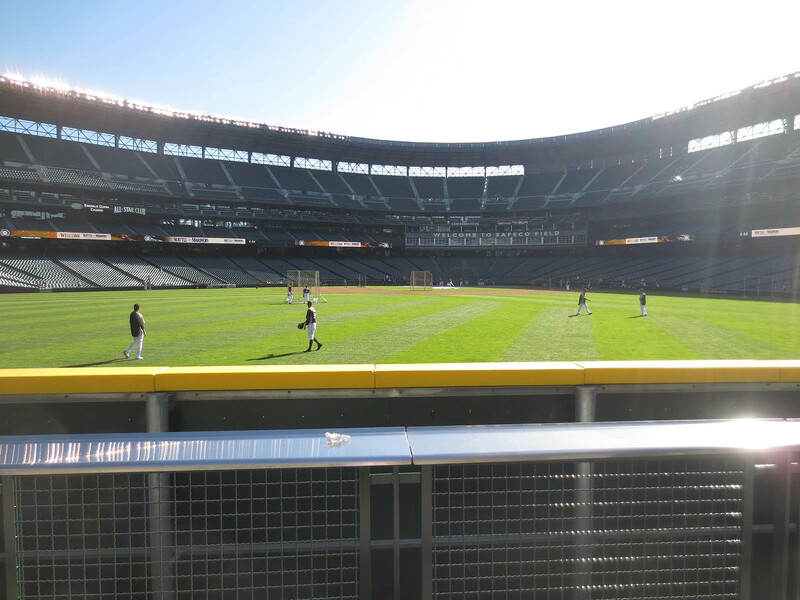 I ended up giving the ball to the woman and moving to the corner spot in center field. I get furious at people like that guy because they ruin it for everyone; they injure innocent bystanders and give people like me a bad name. I can’t count the number of times that I’ve been accused of knocking over little kids, but I *can* count the number of times that I’ve actually done it: ZERO. (I’ve never knocked down anyone, big or small.) Considering I’ve been to more than 1,000 games, I’d say that’s a pretty good record. Can anyone else confirm or deny that? His name is Justin, and he’s a very talented ballhawk. He doesn’t go for toss-ups, but watch out on home runs. He judges them well, catches just about everything, and shows no mercy. Shortly after I took that photo, I drifted 20 feet to my left for what should’ve been an easy snag. I figured he was gonna let me have it because we were standing next to each other and chatting. I wasn’t planning to run for anything hit to my right, and I assumed he’d extend the same courtesy on anything hit to his left. So much for that. 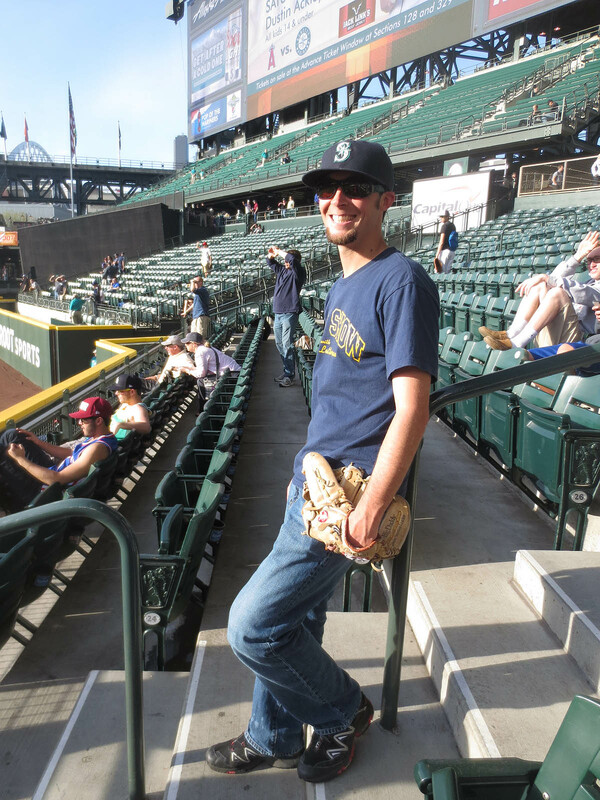 He darted down to the row below me and ran like hell and jumped up and caught the ball right in front of my glove. He said he had to do it because he wanted to “rob the best.” Flattering? Meh. I was just annoyed, but really I blame myself. I shouldn’t have been crowding him on his home turf, but given the fact that I was, I shouldn’t have given him any room to slip past me. 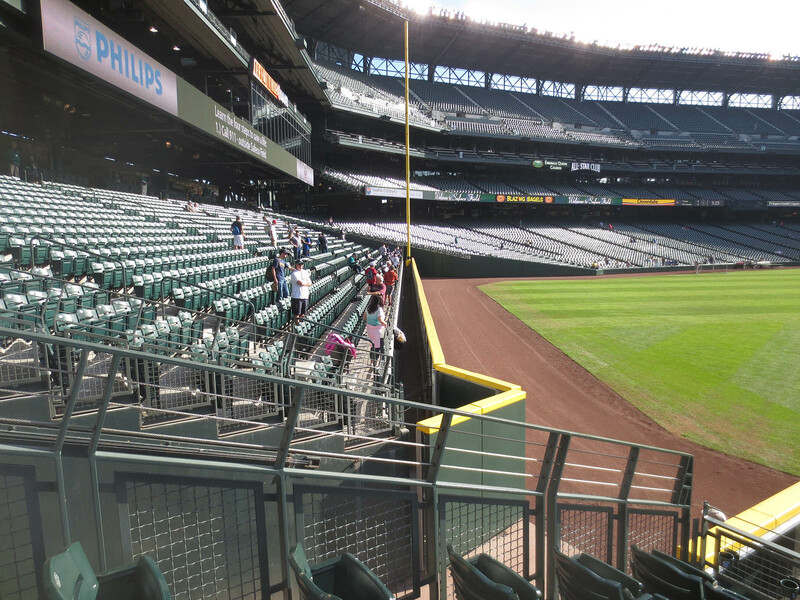 Now, remember that netting in the right field gap? Well, at the very end of BP, a left-handed batter hit a deep line-drive that was coming right at me. The sun, however, was so bad that I had to turn away and flinch at the last second. I was scared of getting hit by the ball, but thankfully it landed in the gap and skipped off the netting and deflected straight up in the air for the easiest and luckiest of snags. That was my 10th ball of the day. 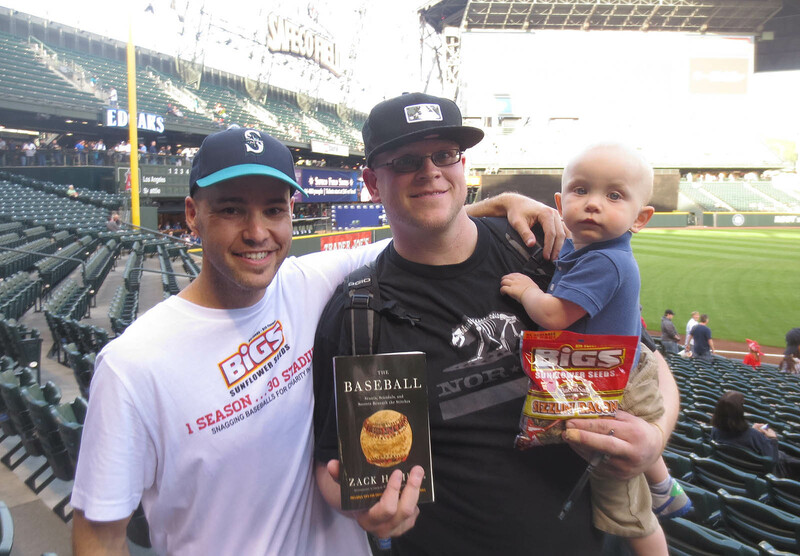 After BP, I met up with a guy named Tom, who had brought his copy of my latest book, The Baseball. Here we are with it — and with his 16-month-old son, Easton. 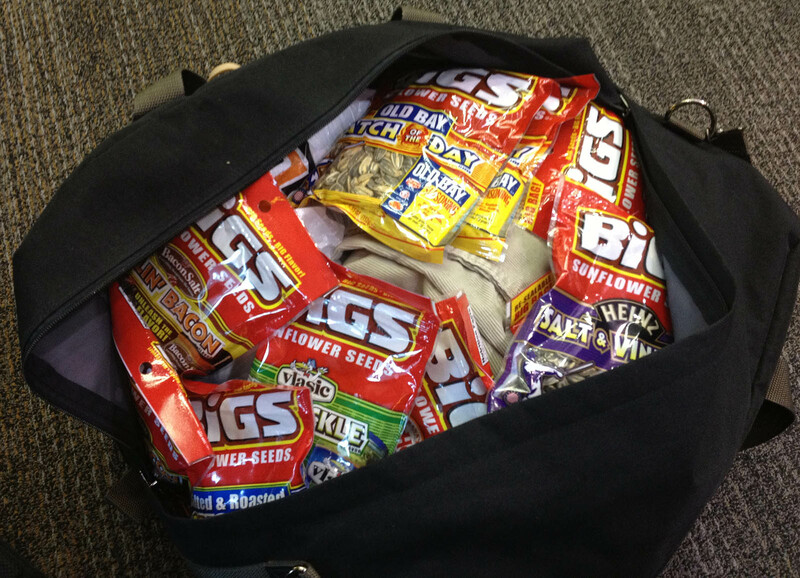 What’s with the bag of seeds, you ask? Well, Tom had said “bacon” to me earlier in the day, but not early enough to win the contest. Fortunately for him, it just so happened that I had another bag of bacon seeds with me. I was gonna pour him a big handful, but Neal suggested that I give him the whole thing. 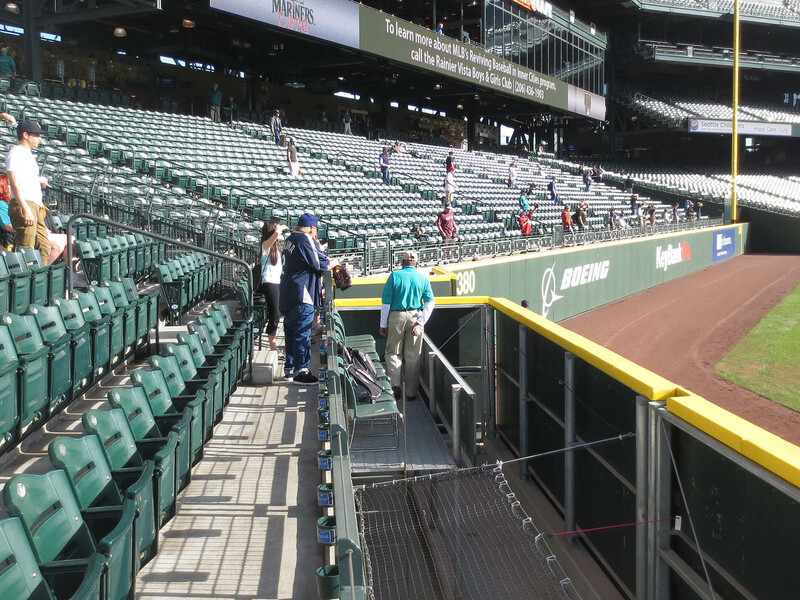 Tom, by the way, is a semi-regular at Safeco Field. He had already snagged five balls that day, giving him a lifetime total of 262. 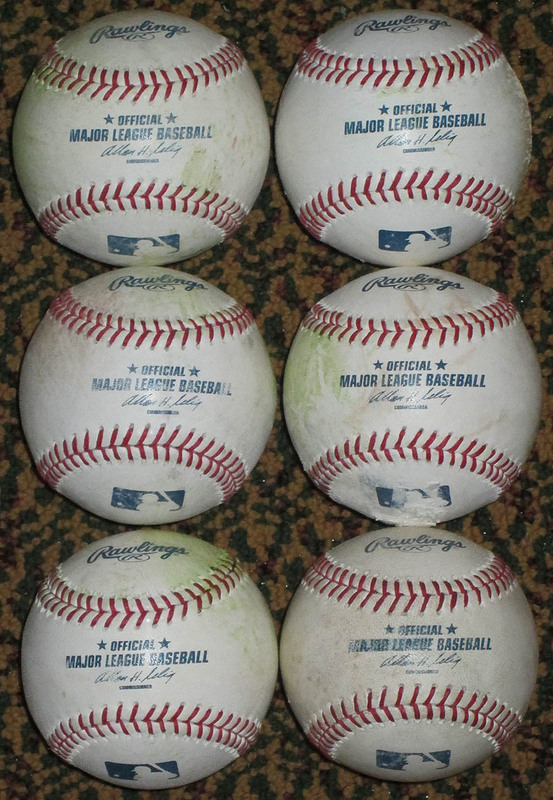 He said he’s gotten at least one ball at 117 consecutive games, including seven foul balls from live play. Not bad. Then I grabbed a couple slices of pepperoni pizza and tried to eat fast . . . I was stoked when he said that. 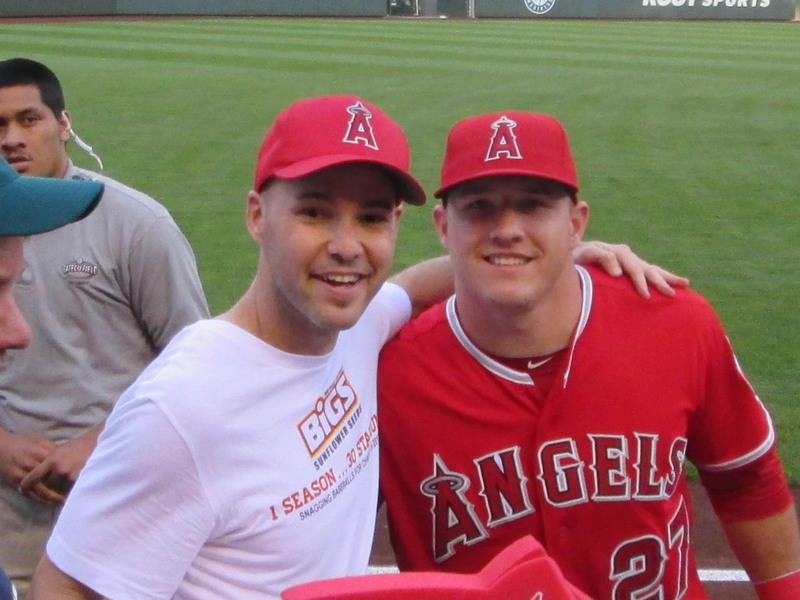 (I’m on the west coast, so I’m allowed to use the word “stoked.”) Ever since I caught his first homer on 7/24/11 at Camden Yards, I’d barely gotten to talk to him, so I really wasn’t sure if he remembered me. In the photo above, Mike is the dude in the Angels jersey. The guy on the left is named Davin, and the guy on the right is named Mitch. Very nice guys. I’m glad they waved me down. 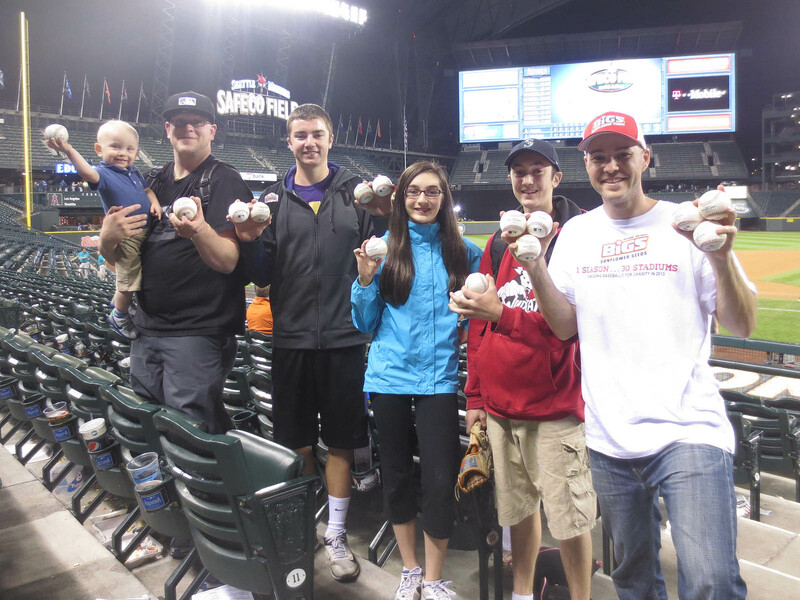 When the game got underway, I had double-motivation to snag a 3rd-out ball as quickly as possible. Not only would it mean $500 more, courtesy of BIGS Sunflower Seeds, for Pitch In For Baseball, but it would free me up to go talk to Tom Gregorio in the Angels’ bullpen. 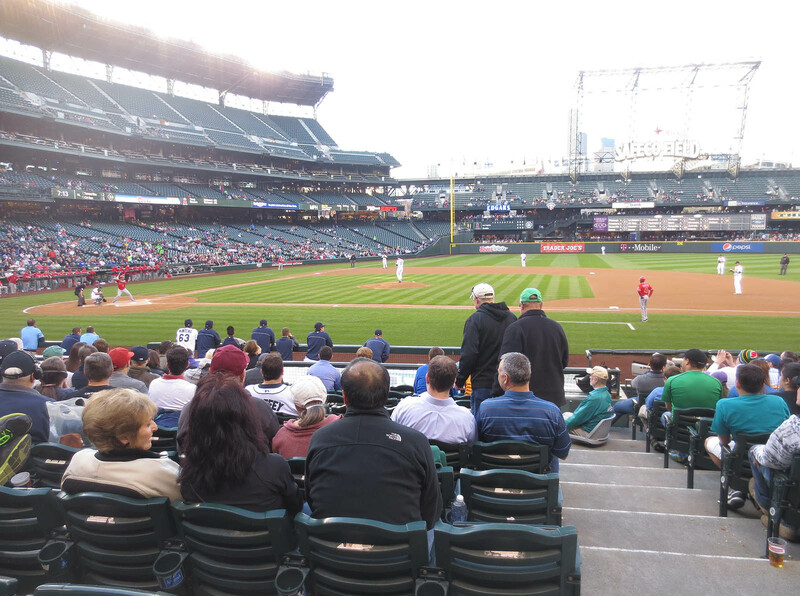 I started the game on the 1st base side, hoping to get a 3rd-out ball from the Mariners . . .
It’s a bit early to be voting for All-Stars, don’tcha think? 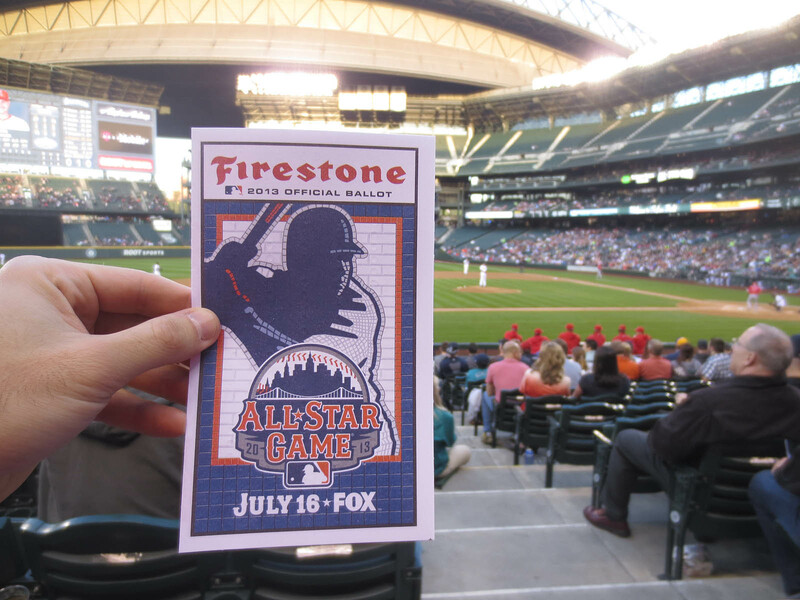 Every half-inning, I moved back and forth from dugout to dugout, but I didn’t snag a thing. It was really frustrating. 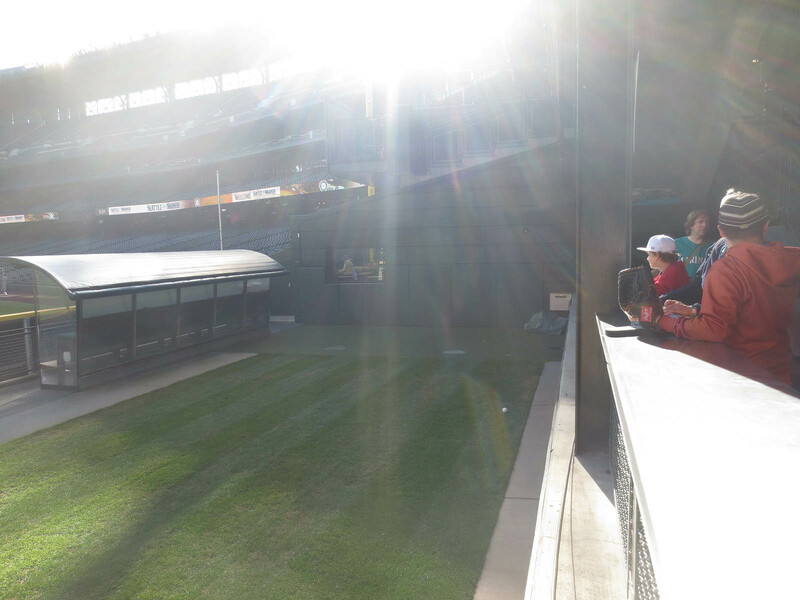 Eventually, to increase my odds of obtaining a gamer, I sat here for right-handed batters . . . 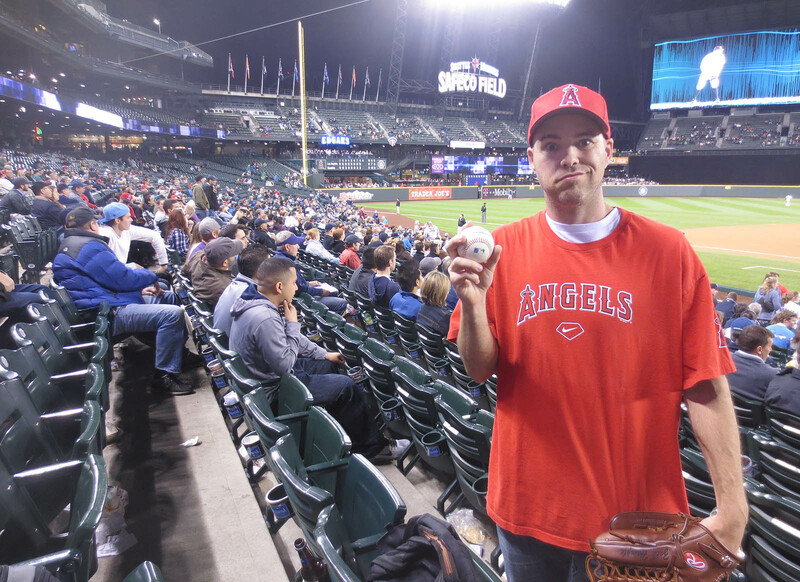 Finally, when Angels reliever Nick Maronde struck out Dustin Ackley to end the 8th inning, I scurried down the steps and got catcher Chris Iannetta to flip me the ball. (Tom gets the assist on that one; he was just starting to drift down the stairs with Easton when I blew past him. Rather than competing with me, he let me go for it because he knew the stakes.) 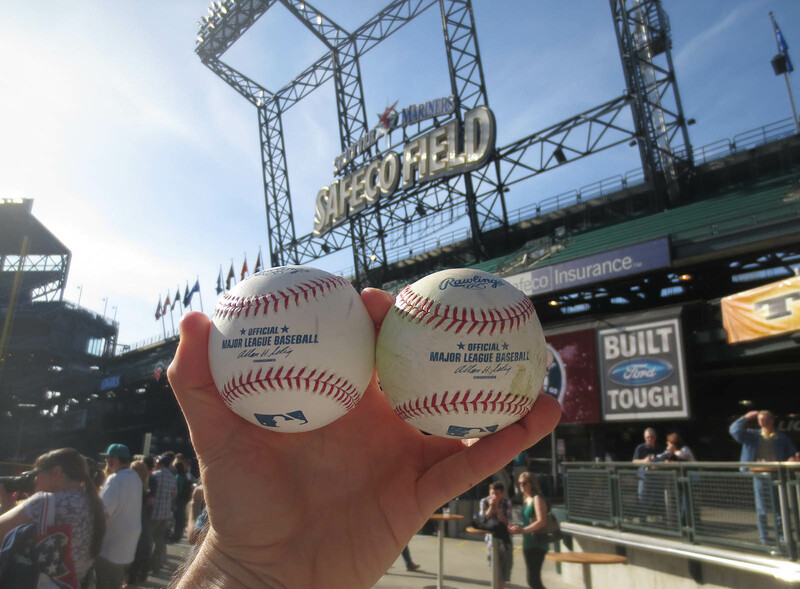 I then offered one of my BP balls to the nearest kid, but the usher told me that he’d already gotten one, so I handed it to a different kid and then gave away another, just because. Even though I’d missed my chance to talk to Tom Gregorio, I was feeling good. I was gonna be here for one more game, and I was glad that my charity challenge wasn’t going to spill over into the following day. Wayne had unfortunately disappeared, but as for the people pictured above, you’re looking at Easton, Tom, and the three siblings — Max (age 19), Hannah (age 13), and Luke (age 15). 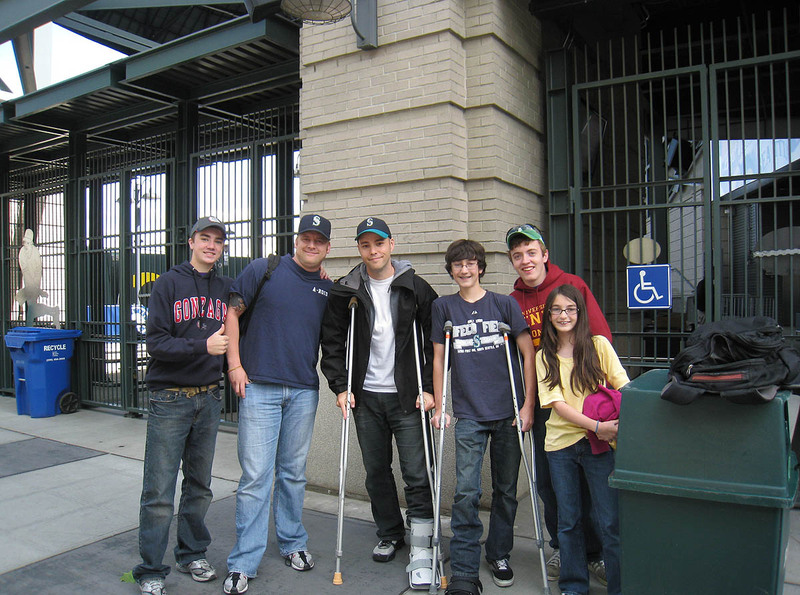 Luke and I were both on crutches the last time I visited Safeco, and let me tell you, it felt GREAT this time around to be able-bodied. • 92 balls in 13 games this season = 7.08 balls per game. Wow! Tom was there?! I’ll be looking to meet up with you again in Los Angeles and hopefully Phoenix. Or one or the other. I’ll keep checking on your calendar. 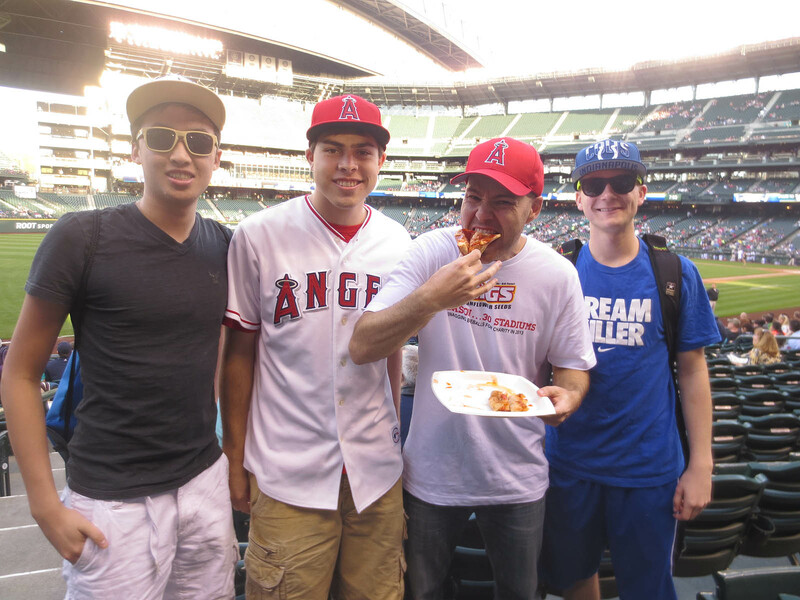 Glad you had fun this time at Safeco. Randy, (the yellow shirted security guard) really oversteps his boundaries at times with fans. No biggie though! See you on the flip! and i only know that now? goD bless Neal and BIGS seeds. . .
Long time reader, first time commenter here. 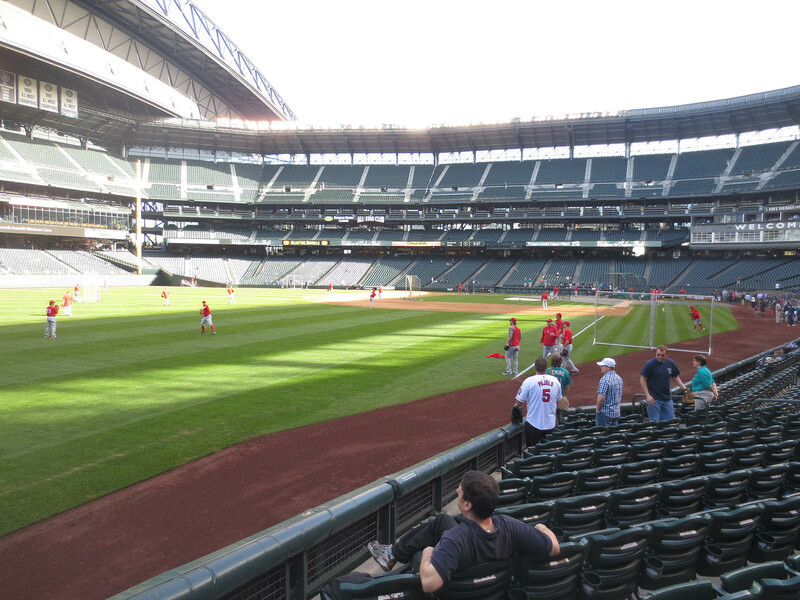 I was at the game after this one at Safeco, and I gotta say, it was surreal seeing you there in person. I don’t wanna give away any details, but I’m really hoping having you in attendance when I caught my first baseball ever that day was a good omen. 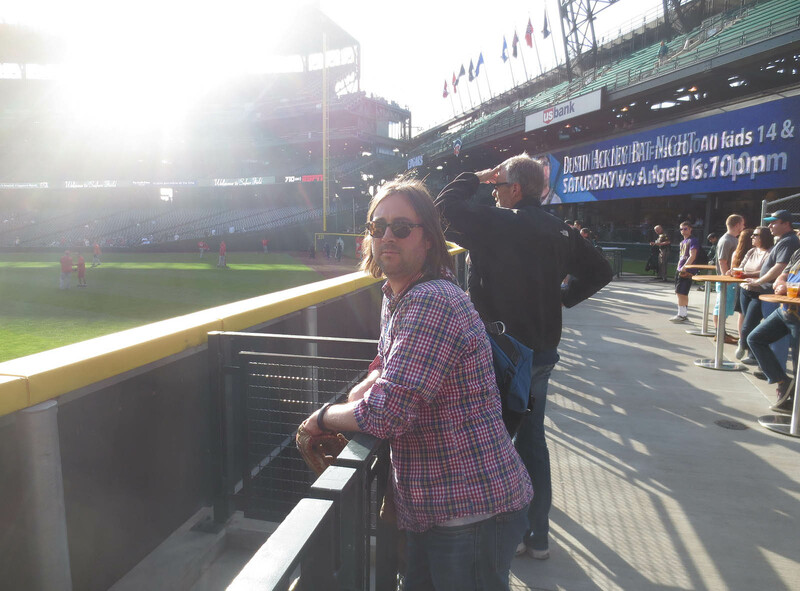 I’ll comment again on that game’s post and point myself out in pictures; I’d try to tell you what I looked like so you can tag me, but as a tall dark-haired kid in a Mariners hat, it’s kinda hard to tell us apart sometimes. 100% can confirm that it is Shayne Kelley pictured. Have seen him several times with Josh at the team hotel. Dude. Where the hell did you keep disappearing to? I was hoping to catch up with you after the game (on both days), so I’m sorry we didn’t get to say a proper goodbye. You woulda known it if you’d been keeping up with my blog. AHEM! Thanks for the comment — great writing and excellent grammar, by the way. You have no idea how much I appreciate that, but anyway, I eagerly await your comment on the next entry. I hope to have it done within the next 12 to 24 hours. Back on track Zack. Must be the pizza. How bad were the Angels ? Will be good to be back home. Any Citizens Bank Park games planned? 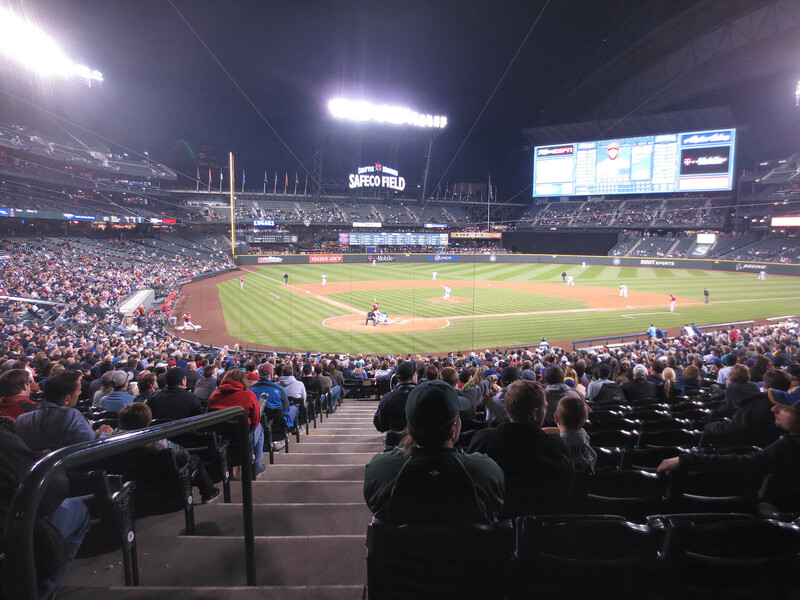 After going to all these great stadiums, how bad is it attending a game at Yankee Stadium? I miss the old stadium more than you can imagine! It has really not been the same since Its been gone. I’m a die hard yankee fan but my interest in them has taken a few steps back because of how bad they treat the fans in the new stadium. I laugh at the few people who say they like the new stadium over the old one. I have SOOO many good childhood memories from the old stadium as I’m sure you have quite a few great stories as well. I love the fact that your into going to all these different stadiums. I’m exactly your age and my all friends have no interest in doing any of the things we do. I have a story to tell ya about Trout when I meet you. 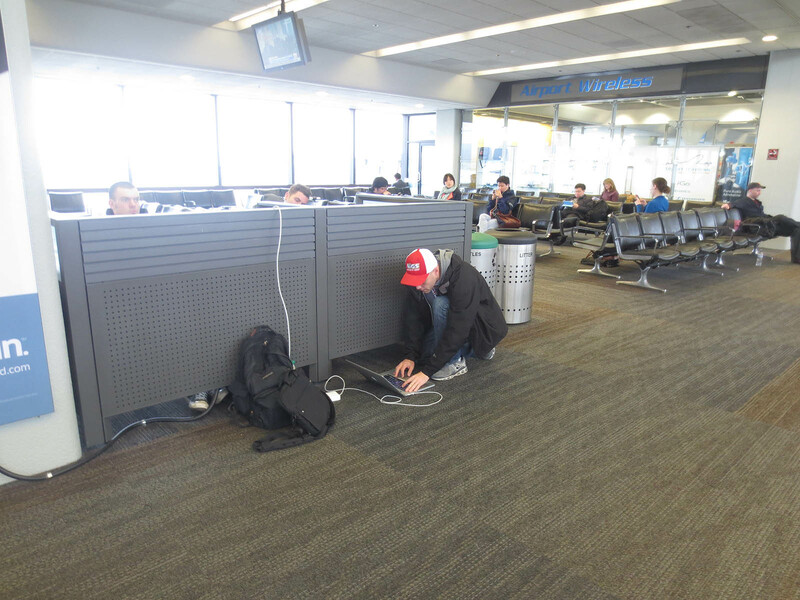 Nothing terrible, but something I’d like to share…have a safe flight back Zack! Zack here’s Heath Bell in a bathtub. Yup. The man crush continues…….. Cool entry!! 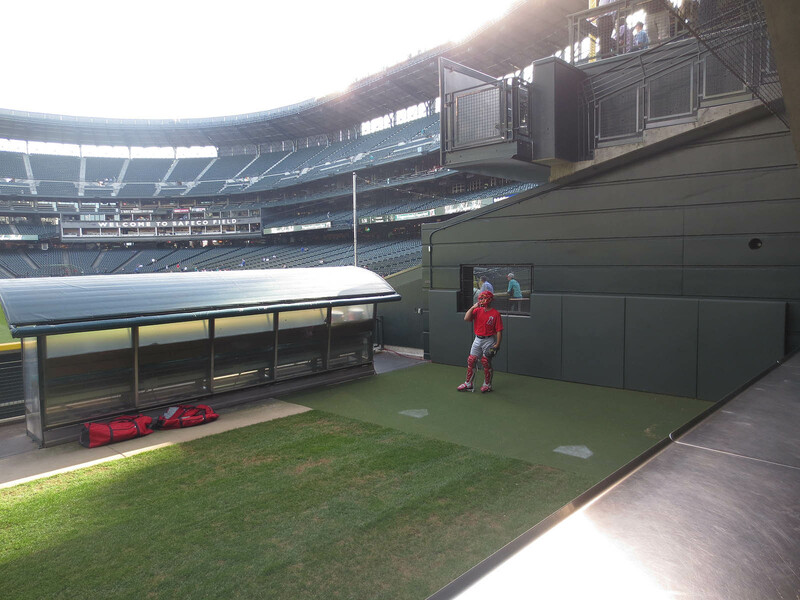 Did you ever talk to the bullpen catcher? Hey zack will you be going to a game on May 11? I know your gonna be at the nationals game May 10, but will you go to a game on the eleventh? 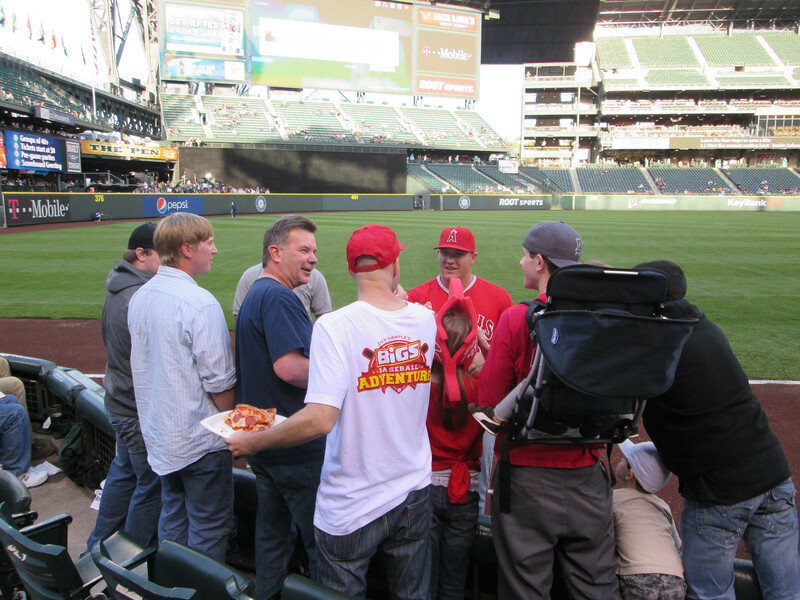 Got an extra Mike Trout autograph? You need confirmation? My info is solid, my friend! The Angels are sucking big-time. I really don’t understand it. It’s pretty bad. I mean, there are moments when it’s fun, but the overall experience resembles something in between school and jail. Looking forward to talkin’ Trout with you. 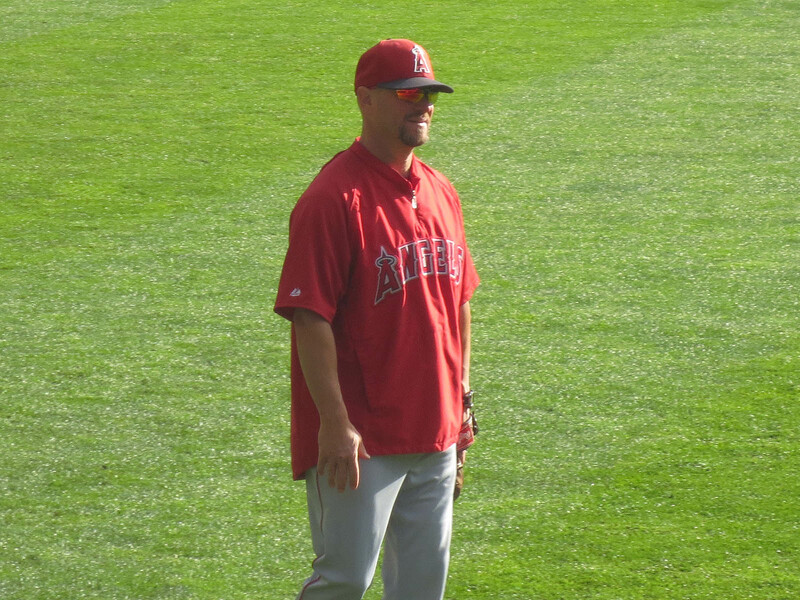 I talked to him on April 26th and described the conversation in my blog entry about that game. As for May 11th, no, I’ll be traveling back to NYC that day. Okay-okay-okay. Sorry for doubting you. 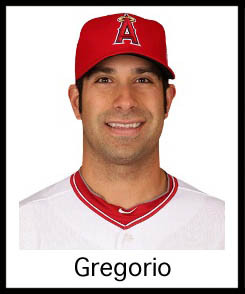 Just wondering if that guy should be included on my “players & coaches” list of guys who have thrown baseballs to me. I can cinfirm that was Shayne Kelley, Joshs Accountability guy. He is a great dude! 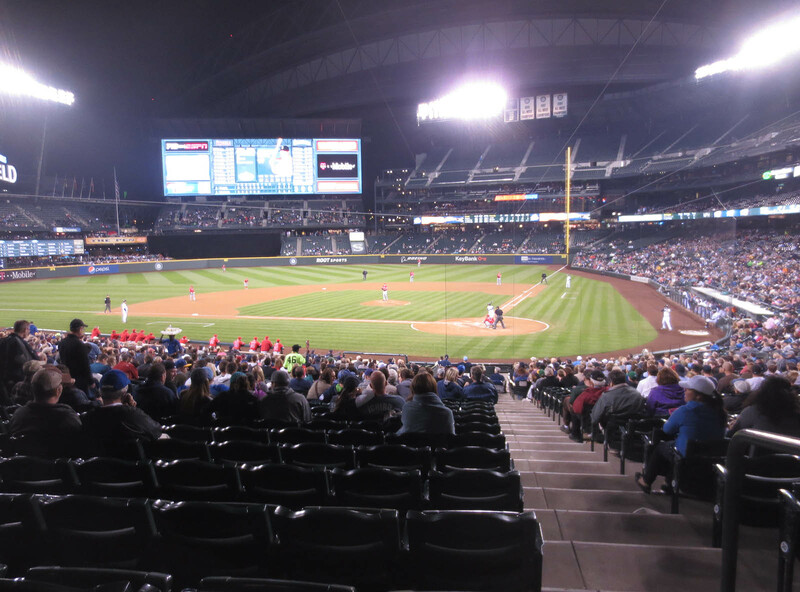 Safeco Field is definitely an elusive ballpark for most fans because it’s in the far far corner of the U.S. Hopefully I can get there one day. 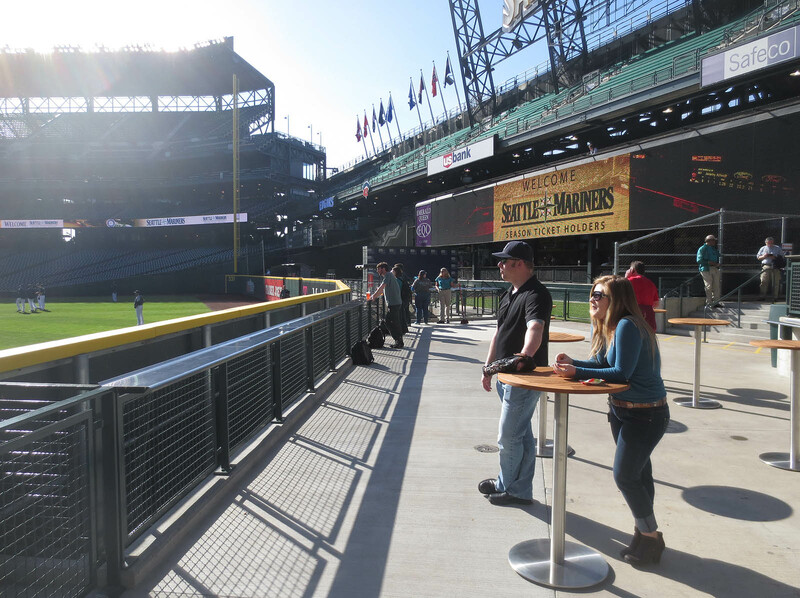 Did you get a chance to visit the upper bleachers at all? Would take a blast for a ball to reach there. Yeah, it’s a tough place to get to if you don’t live in the northwest. 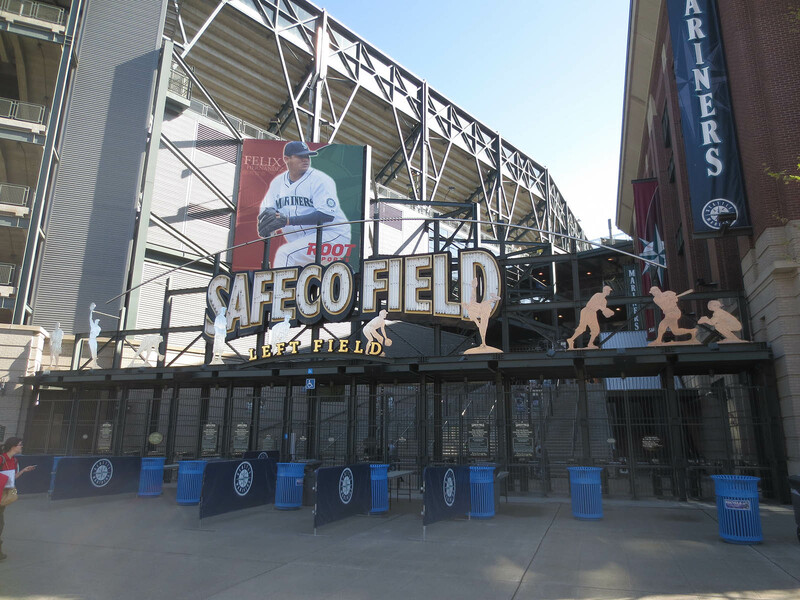 When I was at this stadium in 2011, I spent an hour wandering all around the stadium — on crutches! I had sprained my ankle a week or two earlier. SO AWFUL.